It’s easy to fall into the trap of asking children lots of questions during lessons in a way which is automatic, unreflective and often not very purposeful or productive. It takes awareness, skill and practice to ask children questions in a way that engages them emotionally, awakens their curiosity, promotes thinking and a spirit of enquiry, and supports and extends their language development and learning. 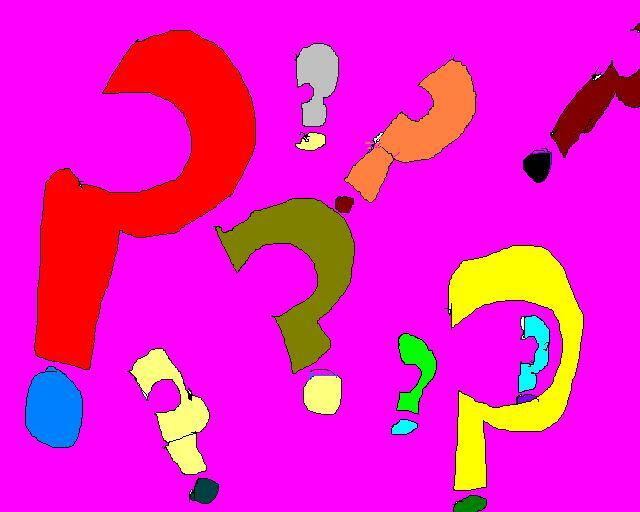 There are many different ways of categorising questions and it can be helpful to think of two broad types which we commonly use. These are questions with a socio-psychological purpose and questions with a pedagogical purpose. We use questions with a socio-psychological purpose to establish and maintain positive, trusting relationships between ourselves and the children we teach, and between the children themselves. These include most obviously all the kinds of personalised questions we ask to get to know our children better and transmit that we care about them as individuals e.g. What did you do at the weekend? When do you have your violin lesson? How’s your baby sister? Is your dog coming to collect you today? (unless of course you’re asking these questions just to test children’s knowledge of a particular structure or lexical area and are only interested in the language accuracy rather than the content of their responses). Questions with a socio-psychological purpose also include questions we ask to encourage children to adhere to classroom routines e.g. So what do we need to do when we listen to the story? and to follow instructions and procedures e.g. What should you do next? They also include questions we use to foster children’s respect and willingness to listen to each other e.g. What do other people think about that idea? and to show that we’re interested in and value what they have to say e.g. I think Marina has a good plan. Would you like to share it with us, Marina? Questions with a socio-psychological purpose can also help us to manage our classes and prevent or deal with discipline problems e.g. Nacho, I need you to decide. Are you going to start the activity now or are you going to work on your own in the ‘time out’ chair? It’s your choice. 1 Closed questions (generally lower-level cognitive demand): Closed questions require a specific response or yes/no answer and are the type of question that teachers tend to use most e.g. What’s this? What colour is … ? How many …? Closed questions are useful for getting feedback on specific aspects of what you think you have taught, prompting recall, checking comprehension and ‘testing’ what the children know or can remember. When used judiciously, closed questions with low-level cognitive demand can also encourage participation especially with beginners, less confident learners and very young children. However, if these are the only types of questions used in class, they can severely limit the potential development of children’s communicative and cognitive skills. 2 Open questions (generally higher-level cognitive demand): Open questions are invitations to think and explore ideas and issues through, for example, reasoning, imagining, inventing, hypothesising, predicting, comparing and evaluating e.g. What do you notice about …? What if …? What do you think happens next? How do you know? Open questions have no set answers. They are useful for challenging children to think things through for themselves and act as a springboard for extending and developing their emerging language. Open questions are also useful for getting children to begin to notice aspects of grammar or to compare their mother tongue with English, as well as to help them reflect on their own learning and develop metacognitive skills. However, when using open questions, you need to be aware of children’s possible feelings of frustration at the language demands involved in the responses they want to give, and be ready to extend, remodel and recast, or accept in L1, what they want to say as necessary. Think about and prepare key pedagogical questions in relation to the content of your lesson before going into class. Keep a balance in the language and cognitive demands of questions and make sure they are appropriate for the age and level of the children you’re teaching. Make sure you include everyone and distribute questions fairly round the class. Don’t allow the same child or children to always answer however keen they may be. Vary the types of questions you ask different individual children according to their ability and confidence. Sequence questions you ask from easier to more challenging in order to give children an opportunity to rehearse using the language and lead them to develop increasingly higher order thinking skills. As well as our skill in asking questions, skill in the way we deal with responses is equally important. Remember to pause to give thinking time for children to answer before you leap in and either repeat, rephrase or redirect the question – or, as sometimes happens, answer it yourself! Be aware of the range of strategies you can use to respond to children’s answers e.g. accepting, praising, withholding or giving instant feedback, extending, inviting alternatives, questioning, modifying, probing, correcting or prompting self-correction. Ensure that you do not reject answers outright (unless they are deliberately facetious) but rather build on children’s responses (even if they aren’t correct) in a positive way. As part of your questioning techniques, it is also important to create a classroom culture where children are encouraged to regularly ask their own questions both to each other and to you. You can do this by explicitly inviting questions about what children are learning e.g. Who’s got a question about how dolphins communicate? / Maria, choose someone to ask what they think as well as including formulating questions an integral part of classroom activities e.g. We’re going to read about rainforests. What are some of the questions we’d like to find answers to? Let’s make a list. Some of the ideas in this post link to ‘O for Oracy’ and are part of the same theme. It’d be great to hear further thoughts and anything you’d like to add. You’ve done a great job. Every child is blessed and gifted. Your guidelines will be a tool for the TEACHER’S fraternity. Many thanks for your encouraging words. I’m glad you think the guidelines will be useful. very happy to read your innovation on ABC of teaching children!! The young learners in my school will be thrilled with the beautiful pictures that you have correlated with the letters! Thanks Carol. My colleagues will also find this new tool very useful and I’m sure it will be used by other wider group of teaching faculty! Thank you Grace! I’m so glad you find the blog useful – and hope your colleagues do as well!